Savannah's Historic District, covering 2.2 square miles, is one of the largest in the country. With Southern Hospitality everywhere you look, and General Oglethorpe's ingenious grid layout keeping everything orderly, you can confidently grab your walking shoes and get ready to explore! An absolute "must" on your first visit to Savannah is to explore these three main areas of the Historic District. Use this map to locate your favorite Inn, and the places you wish to visit. Four renovated blocks in the heart of the historic district really capture the authentic atmosphere and character of the city's old open marketplace. Known as City Market, this spot is also one of the most-visited attractions in Savannah, GA—featuring artists working in their lofts and exhibiting finished works for sale. You'll also find restaurants, open-air cafés, jazz clubs, and shops offering crafts, accessories, and gifts. River Street and the Old Cotton Exchange were the center of commerce in 1887—when cotton was king. Iron bridges, cobblestone streets, and sidewalks tie together a unique multilevel collection of 19th-century buildings. Where there once stood old cotton warehouses, you'll now find a multitude of bars, restaurants, and shops. This 26-acre park, starting at the south end of the historic district, is especially beautiful in spring when the flowering trees and azaleas are in full bloom. The large ornate fountain dates to 1858. Joggers and walkers head here to make the mile loop around the perimeter of the park. Forsyth Park is the pride of Savannah, and fortunately, located just a minute's walk from The Gastonian on Gaston Street and the Eliza Thompson House on Jones Street. When you're ready to branch out a little bit more, these top sites will be awaiting your arrival. Colonial Park Cemetery—approximately six acres in size—is in the heart of Savannah's Historic District at 201 Abercorn Street. The park-like cemetery has been closed to interments since 1853 and is the oldest intact municipal cemetery in Savannah. Previously known as the Old Cemetery, Old Brick Graveyard, South Broad Street Cemetery, or Christ Church Cemetery, the cemetery served as the primary public cemetery from 1750 to 1853. At Monterey Square, you'll find Mercer House, built in 1860 for the great-grandfather of songwriter Johnny Mercer. Purchased in 1969 and restored by Jim Williams, Mercer House remains the principal subject of the book and film titled Midnight in the Garden of Good and Evil. Scenes from the movie were shot here. Still privately owned by the family, the Mercer-Williams House Museum is open for tours. One of the finest art colleges in the nation, the Savannah College of Art and Design (SCAD) has made its home in the heart of the historic district. The diverse talent of SCAD's student body is readily welcomed in many of the art galleries in the area. Our highly regarded art galleries and museums include the Telfair Museum of Art, the Jepson Center for the Arts, and the SCAD Museum of Art. Savannah was originally built around four open squares in 1733. Today, 22 of the 24 historic squares remain intact. If you've got your walking shoes on, it's entirely feasible to visit each one of the squares and monuments of Savannah in just one day. Most of Savannah's squares are named in honor or in memory of a person, or a historical event. 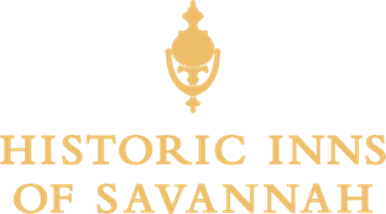 Several walking guides and tour maps of Savannah will help you chart your course for walking the squares. When you have to pick and choose, our concierge staff recommends that you don't miss these Savannah squares.